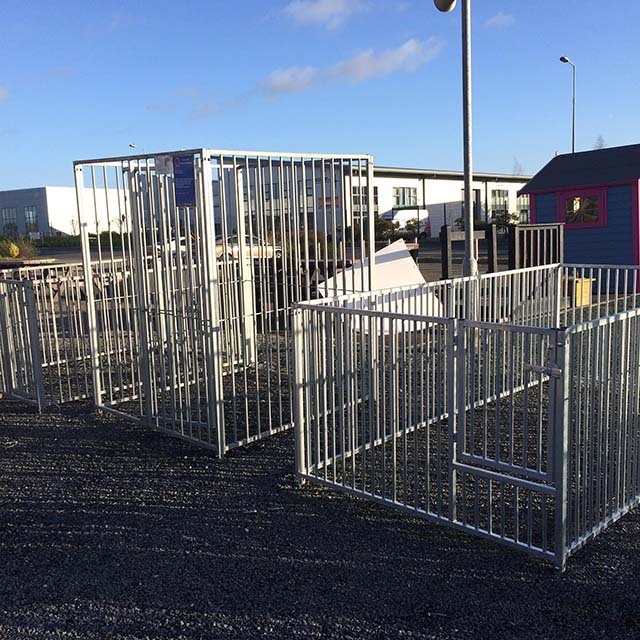 Come along to Outside at Fine Framers to see our new display of Dog Runs, to suit all breed types and sizes. 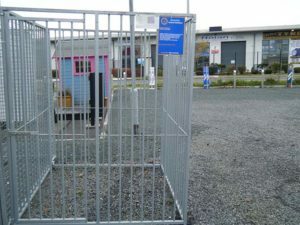 We have seven new models assembled there, to show many of the options available to you when you choose us for Dog Runs. Our helpful staff will talk you through all those options. They will also explain further about the huge range of sizes and extra features that are also available. All our runs are made of 25mm x 25mm hot dipped steel box frame, which is galvanised both inside and outside. They are a standard height of 1.84 metres, making it hard for any dog to jump over them. All panels are available in different lengths starting from 1m , 1.5m & 2m lengths. Anybody can easily assemble them using just ordinary nuts and bolts (supplied). 8cm bar spacing, suitable for medium to large breeds. 5cm bar spacing, suitable for small to medium breeds. Mesh panels, suitable for all breed types. We can supply runs in any size starting from 1m x 1m. You can get full panels and gated panels. 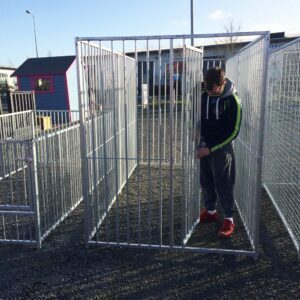 The standard gate has an opening width of 620mm and comes with a safety feature so that you can use a padlock. All panels are available for collection or delivery nationwide. Also available is a void panel. 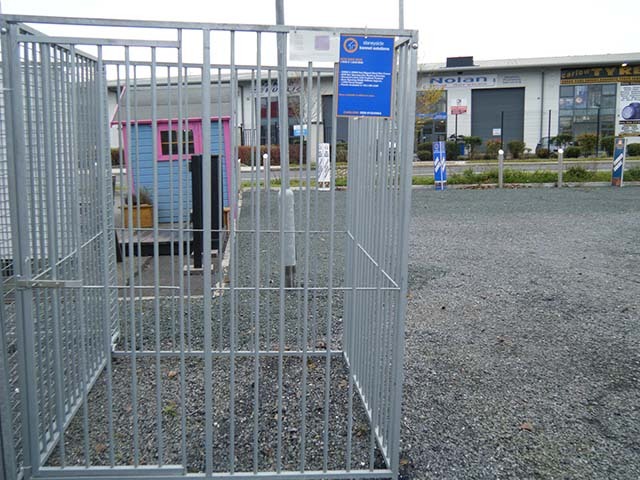 This is a panel which comes with a piece cut out, allowing you to put a kennel up to it outside. 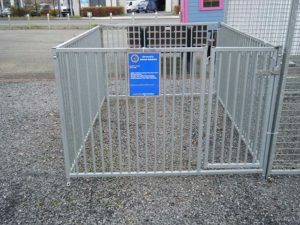 This means that the kennel does not have to take up space within the run. All runs can be roofed also with a steel roof. 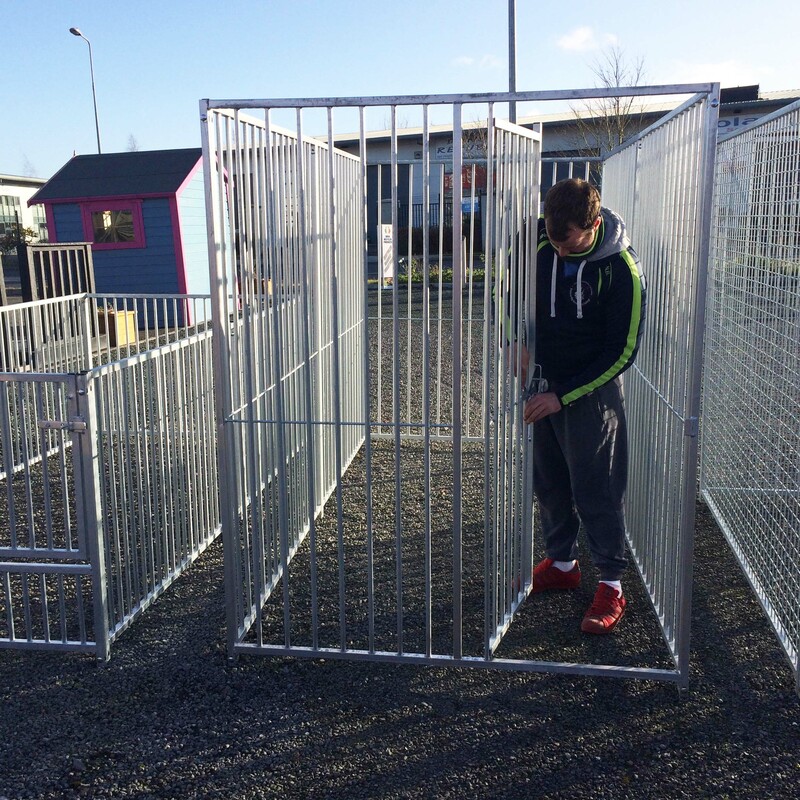 Also available in the range are puppy panels, which are 1m in height and come in arrange of sizes. 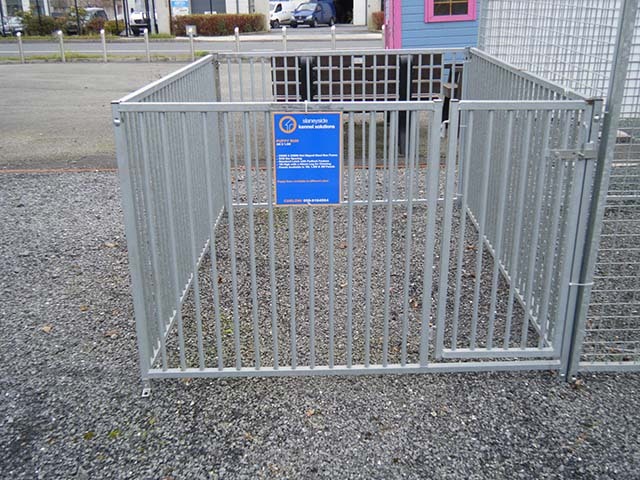 These come in the 5cm bar spacing and are ideal for puppies and small breeds. For more, just call to see us in the Wexford Road Business Park on the outskirts of Carlow, call us at (059) 9164564, or use our contact form.